Has kitchen remodeling been on your mind lately? Are you champing at the bit to give your kitchen the look and feel it truly deserves? As one of the most important rooms of the house, a worn-out kitchen can stand out like a sore thumb both to yourself and to your visitors, and can make a bad initial impression to first-time viewers. Luckily, when it comes to remodeling your kitchen, you don’t have to over think it, as there are only 3 key factors to kitchen remodeling to consider: design, materials, and labor. The first step to remodeling your kitchen is to ask yourself: What have you always wanted to do with your kitchen? What are its current limitations? How can it be improved? How can your current kitchen become the kitchen you’ve always wanted it to be? Choosing a design that won’t fade with passing trends is one of the most important factors when remodeling a kitchen, as the materials you select will all depend on what you choose. In order to be able to select the right materials, you’ll have to first select a palette that allows for versatility, depth, and, most important, will assuredly stay in style. Visit here for recommendations on design and style trends for 2017. The look of a kitchen remodeling project is just half the battle, as you’ll no doubt also want to improve functionality and practicality through your renovation. Consider how you can allow for better access to items you use on a regular basis, what parts of the kitchen you use more than others, what you use your kitchen for, and how often you use your kitchen for food preparation, dining, and entertaining. Another important aspect, or series of aspects, to keep in mind are the singular parts of a kitchen that you may want to include in your kitchen remodeling. Are you looking for an island in the center of your floor, or to disregard a specific feature altogether (such as a wall) for more open space? Will your theme or design style contribute to the nature of how you use your kitchen? All of these questions will help you hone in on your kitchen’s potential. As one of the main key factors for kitchen remodeling, securing materials that both demonstrate your ideal design and can hold up to years of potential damage and trends is paramount. Many factors contribute to this decision, but a few in particular are heavily weighted when it comes to kitchen remodeling. What is the estimated budget of materials? How will you optimize space and storage? What kind of lighting are you looking to use and what fixtures will you be utilizing to support it? How will accents come into play through your design of choice – handles, faucets, etc.? What type of furniture will be used – dining table, chairs, stools, mobile islands, etc.? An aspect of kitchen remodeling that you’ll want to be careful not to overlook are the non-visible areas of a project. Factors like electricity, plumbing, and ventilation are features that are sometimes forgotten or not given as much importance as others. However, these are incredibly important to keep in mind in order for your kitchen to be fully functional when the project is completed. With any renovation, expenses for kitchen remodeling can add up quickly. Just as it’s important to stress planning out what items you’ll need for your project, you’ll also want to determine an estimated total for what you think you’ll spend. Consider adding-in an additional 10-15% on top of that in case material expenses exceed your original estimate. The last factor you’ll need to consider when putting in the time for kitchen remodeling is what goes into the labor to construct the heart of your home. Just as it’s important to pick out a design that will last for years, as well as materials that will support your theme, it’s essential to also choose a team that will be able to give you peace of mind when it comes to creating your exact vision. The first step to picking out a quality team to handle labor is to understand where your money will be going. Some contractors will factor in labor as a percentage after material costs, while others charge labor by the hour, setting a deadline for when they expect to have the project completed. Either way, you’ll want to map out an arrangement early with whoever’s working on your kitchen remodeling. It’s also wise to have the contractor provide several references for you to contact about their work. If a contractor can’t do that, don’t hire them! As expected, when you discuss cost for material and labor with your contractor, they’re going to give you an initial estimate, mapping out what they expect the renovation will cost you, given all factors. It’s important to ask questions along the way with your contractor so you always have the most accurate estimate possible. This will also allow you to come to the contractor with new ideas or ways to improve initial designs you hadn’t previously thought of. Finally, it’s important to make sure you’ve discussed a list of priorities with your contractor so you’re on the same page going into your renovation. When starting, ask yourself one question: What do you consider to take precedence? Is the lighting in your current kitchen no longer cutting it? Are you on a strict budget? Do your appliances need updating? All of these will help you and your contractor settle on an arrangement you can agree to stick with. As discussed, there are three major key factors to kitchen remodeling that you’ll want to consider before heading into a renovation: Design, materials, and labor. With the design, you’ll want to choose a style that doesn’t show signs of dating itself, while also factoring in how you can improve the current functionality of your already established kitchen. When purchasing materials, you’ll need to consider every aspect of the kitchen, ranging from design to electric, plumbing, and other utilities. For labor, you’ll have to create a solid relationship with your contractor of choice – someone who’s able to give you reliable advice, a firm work schedule, and clear expectations about cost and length of the renovation. With all of these factors at your disposal, you’re going to want to choose a company that is able to listen to your needs and provide expert support so that you feel completely comfortable with your decision. This is where Kitchen & Bath Unlimited comes in. 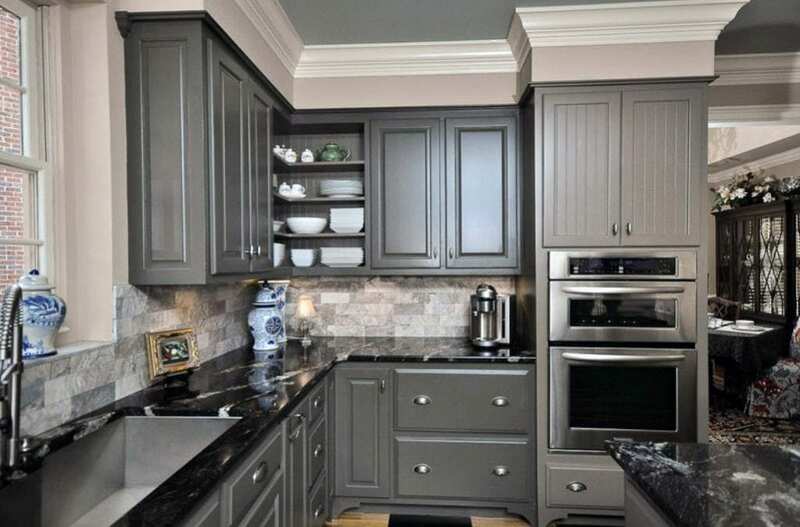 We’re able to provide years of dependable service and quality care to whatever project you may have in mind – including any kitchen remodeling project that you need done. Whether it’s behind the scenes, or on the front lines making your renovation happen, Kitchen & Bath Unlimited is up to the task of making your kitchen remodeling project a hassle-free experience.